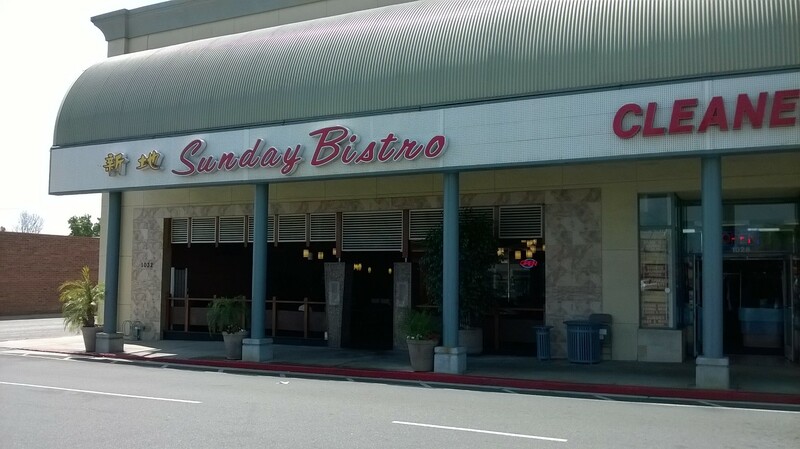 Instead of going to the same ones over and over again, I decided to visit Sunday Bistro, one that I have not been to for years. 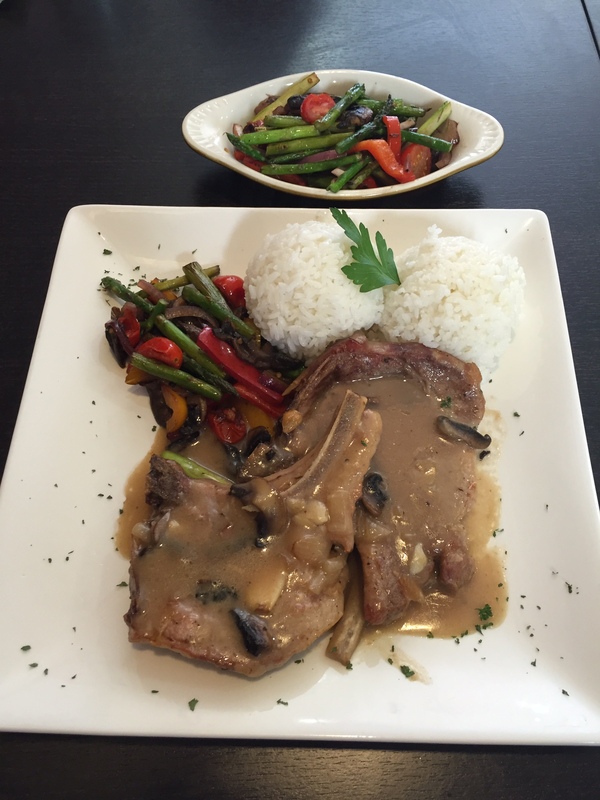 It is situated in a strip mall on Valley Blvd in Alhambra. 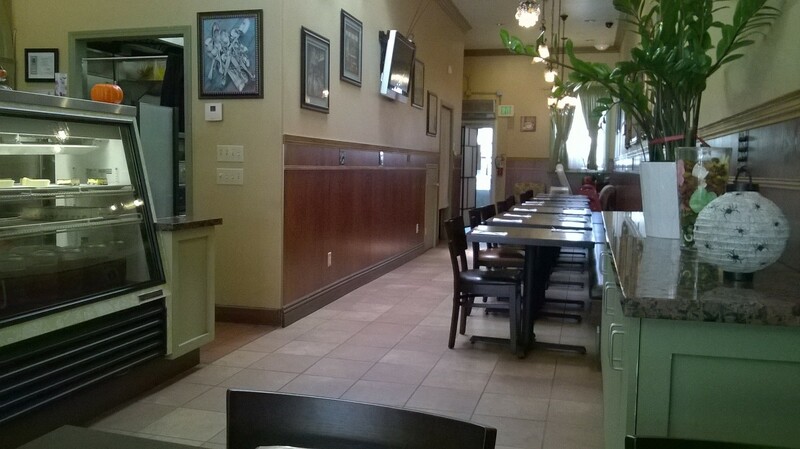 The restaurant is fairly roomy inside with comfortable booths on one side. The menu is quite extensive just like many of the HK cafes. But the one dish that caught my attention was the Braised Sea Cucumber with Mushroom at the price of $10.95. Sea Cucumber has always been one of my favorites, and the dish is usually rather pricey in restaurants. I did not hesitate at all in ordering that. I was ready to accept a small plate with just a few thinly slices of sea cucumber at that price. 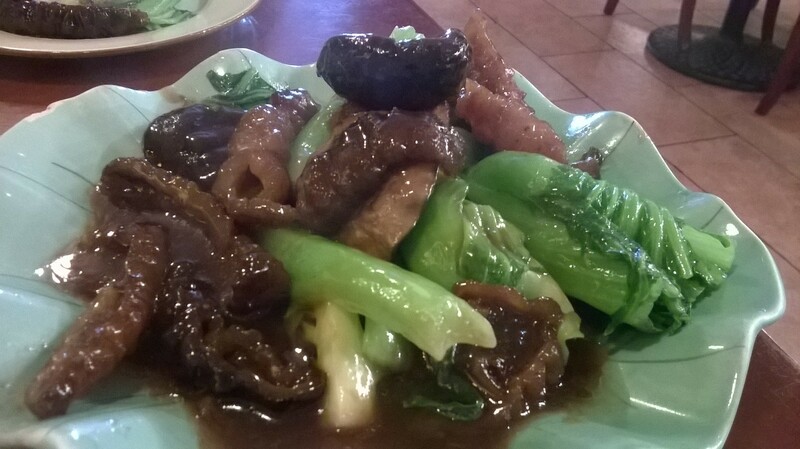 Needless to say that I was totally, pleasantly surprised when the plate came with more than 10 good size pieces of sea cucumber and ample mushrooms and very fresh mustard greens at the bottom. Both my companion and I were incredulous as to how they could serve so much of the sea cucumber at such as price, and the dish was executed really well with everything cooked perfectly. 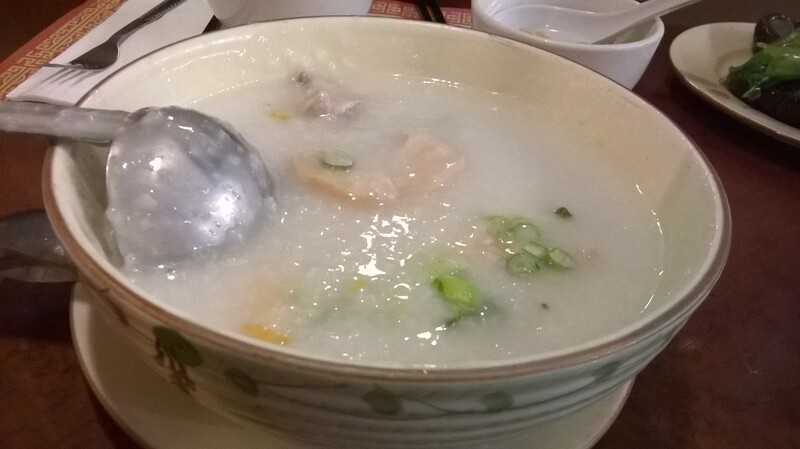 The other simple dishes that we had ordered such as the Wonton Noodles and Porridge were all fairly decent. Despite some criticism of poor service at Yelp, I thought the staff was quite attentive, and the waitress actually listened to my request of not adding extra salt to the food. The only complaint for me would be that the patrons are allowed to smoke in the front outdoor patio area, and the smoke can be smelled even inside the restaurant. Somehow I have managed to visit this eatery three times already in the past month. Once with my son when they sent us an email for a free entree for his birthday. And the two other times with the Groupon deals that were too good to pass up. The atmosphere of this place is casual and relaxed. The outside of the restaurant actually looks more modern than the inside. My son, as well as my dinner companion all had the Filet Mignon and Shrimp all three times that I was there. 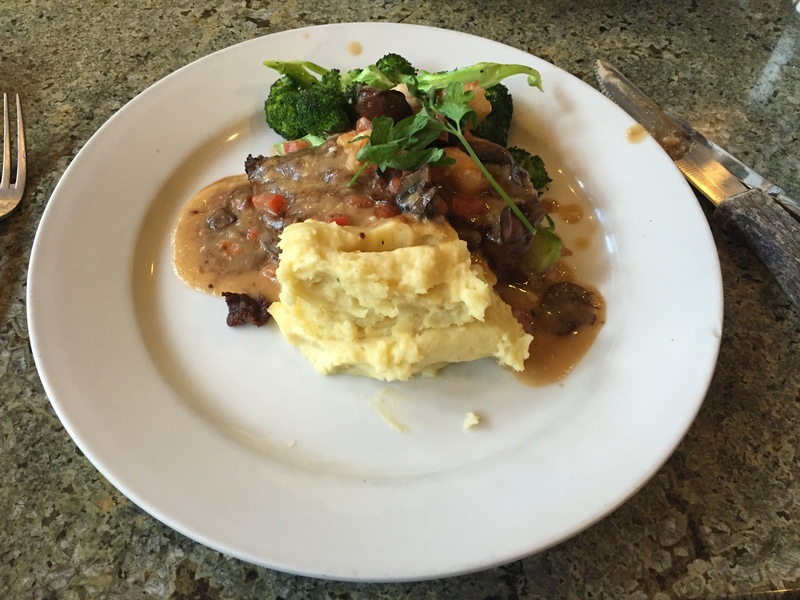 The filet mignon was executed really well every time, tender and flavorful. 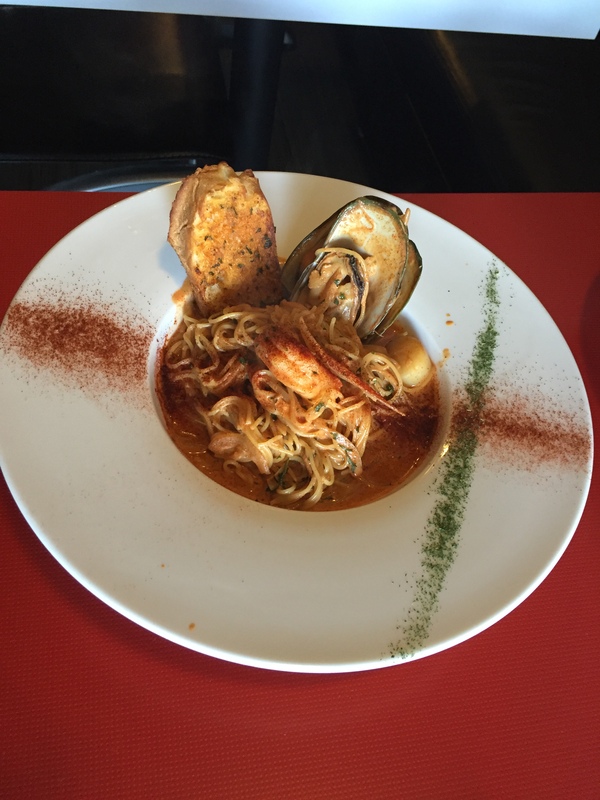 I tried the Lobster and Shrimp Linguine during the first visit, but found the portion size to be small and without much lobster. For the subsequent visit, I had the Braised Petrale Sole which was served in a deep elongated dish covered with a pear tomato sauce. This dish had so much sole inside that I was not able to finish the entire serving. 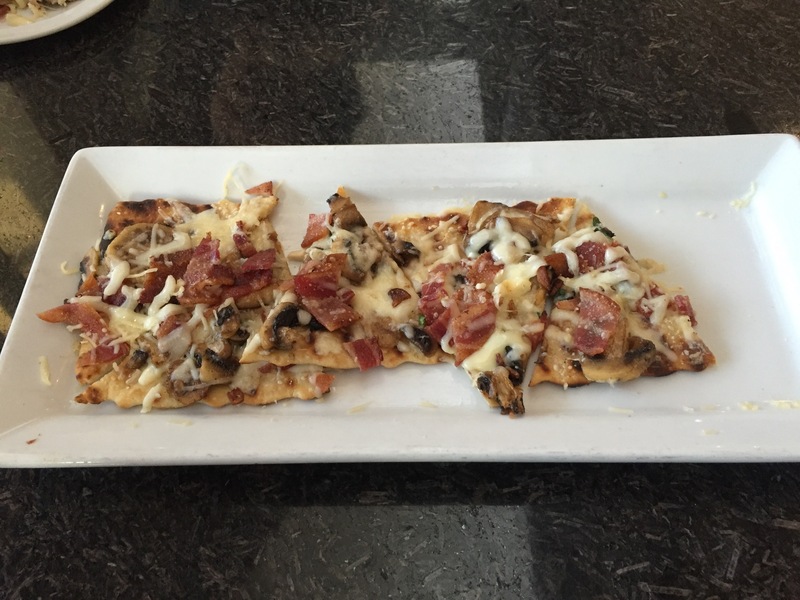 The Roasted Mushroom and Bacon Flat bread that we ordered as appetizer was a tad salty for our taste, but quite ample in portion size. 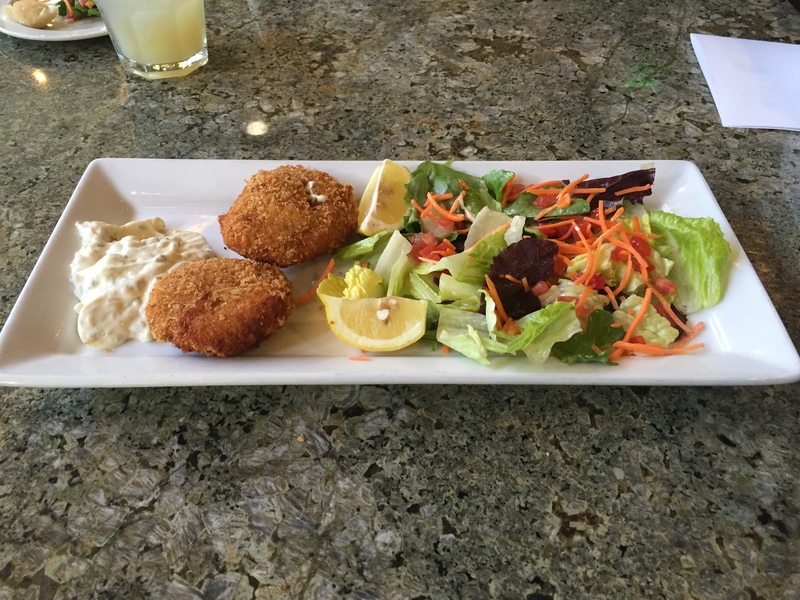 We tried the Jumbo Lump Crab Cakes during our third visit, and found that to be moist, tasty and not too heavy. Our dinner came with cocktails of our choice so I tried the Cadillac Margarita, and Raspberry Lemon Drop during two of the visits. 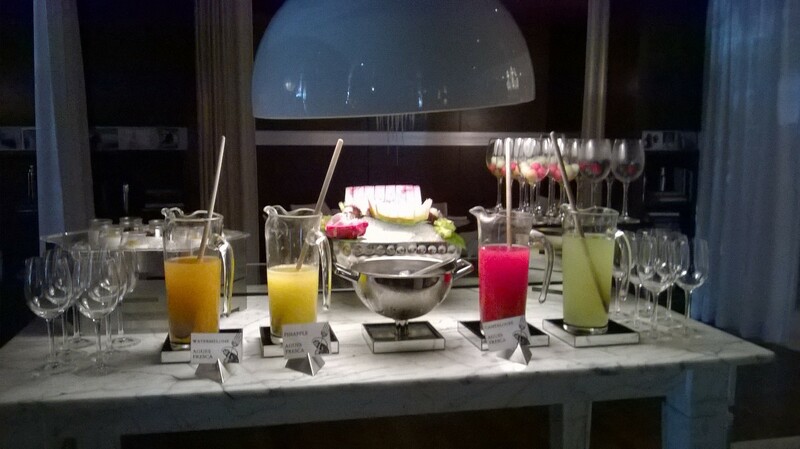 Being that I am not a frequent drinker, I felt buzzed after just a few sips, and did not finish the drinks. Had a pretty good lunch at Tasty Garden in Alhambra before going to a job. The job finished quite a bit earlier than expected so I had some time before my other assignment in Chinatown. 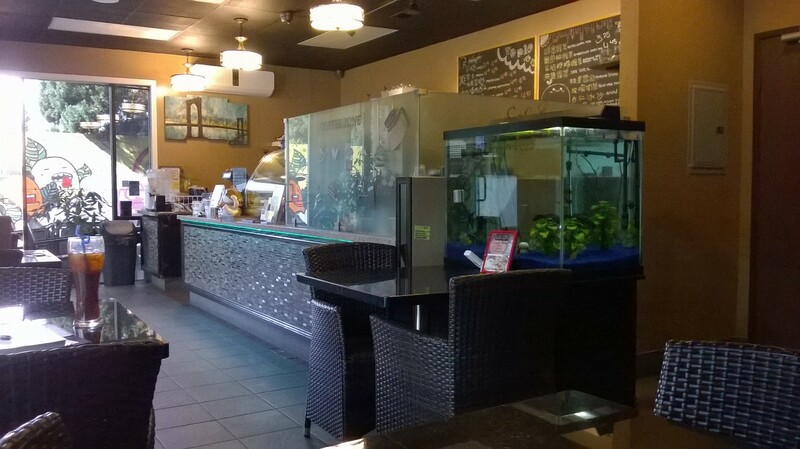 So I decided to have some coffee at the Coffee Zone in Monterey Park. I wanted a quiet place to sit and relax, and I remembered that Coffee Zone offers such an option. I ordered the Cappuccino while my friend ordered an Americano. 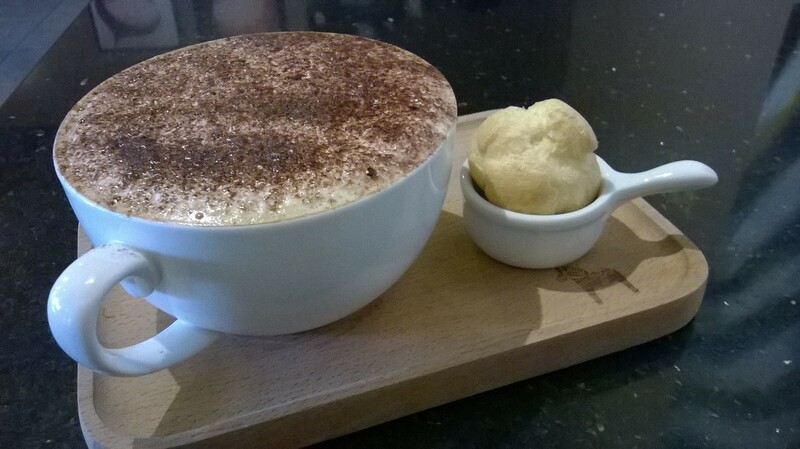 The cappuccino came with a little frozen cream puff on the side. I must say that the cappuccino was one of the best that I have had for a long time. 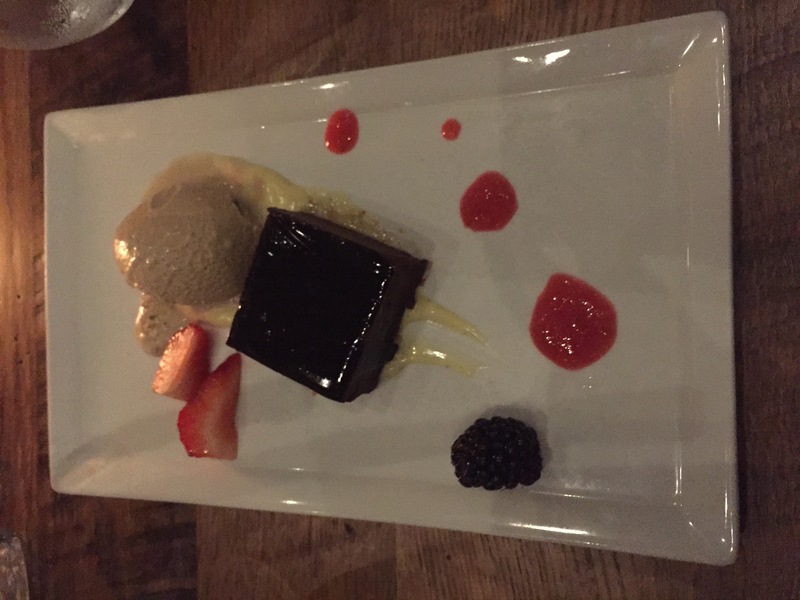 Even though the espresso was not very strong, I found that the overall presentation and taste to be excellent, especially with the fine chocolate powder sprinkled on top. Although the time was around 5:00pm, we decided that perhaps we should have an early dinner. We chose a place called Ganache Patisserie and Cafe by Nicol on Atlantic since it was close by, and one that I have not tried before. The restaurant is small and empty since it was not quite dinner time yet. The menu has numerous pasta options. The wall had photos of delicious looking desserts even though the waitress said that some of the desserts were not available, and that some did not really look like the photos. 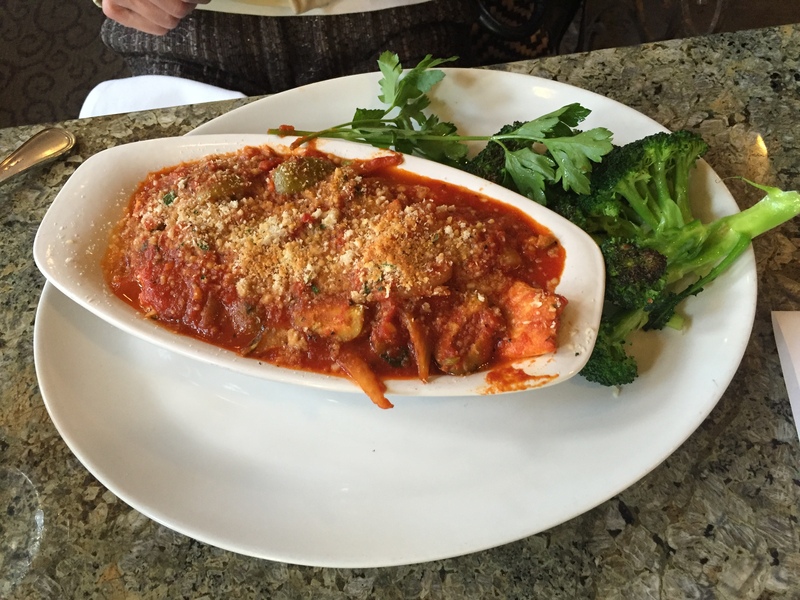 I chose the Vegetarian Pasta with a tomato base sauce, while my companion ordered the Seafood Pasta. 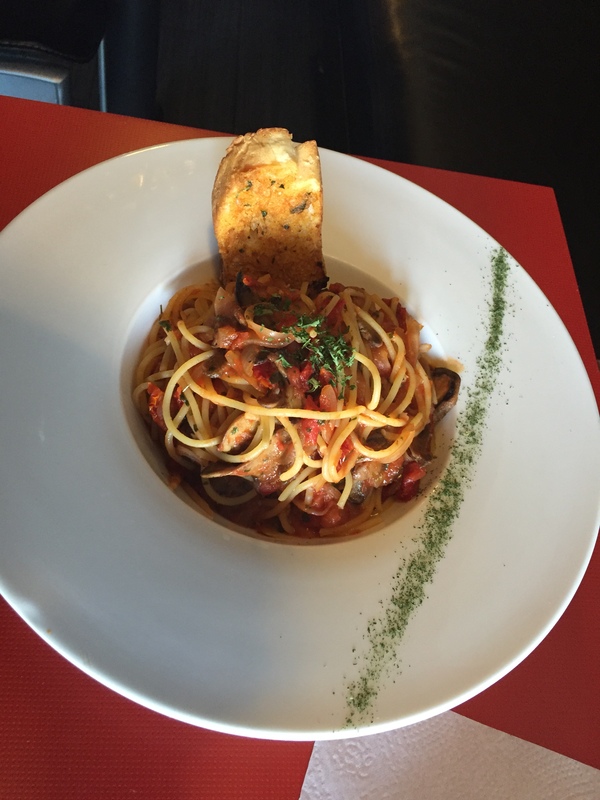 The servings of the pasta were not huge, but given that I was not that hungry, it was just the right size. 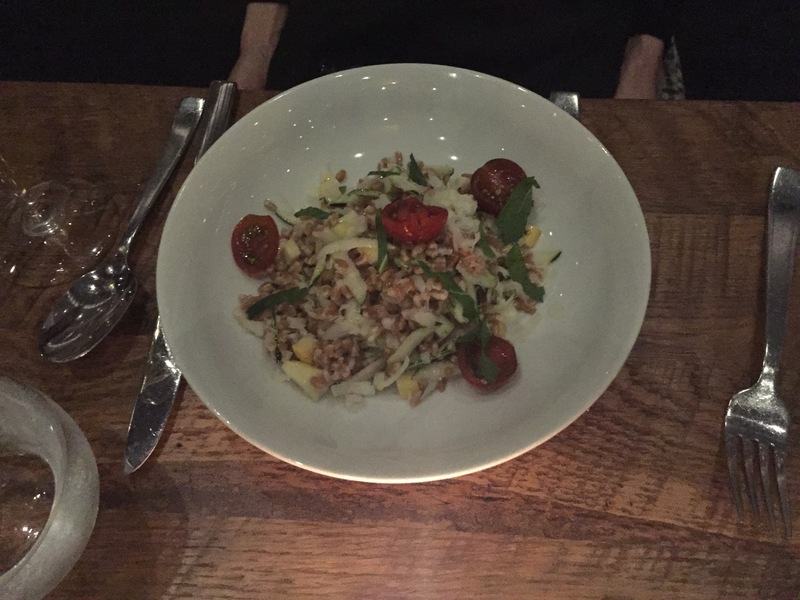 The chef did a good job on the pasta itself since it was still al dente. The taste was a tad sweeter than I would have preferred. 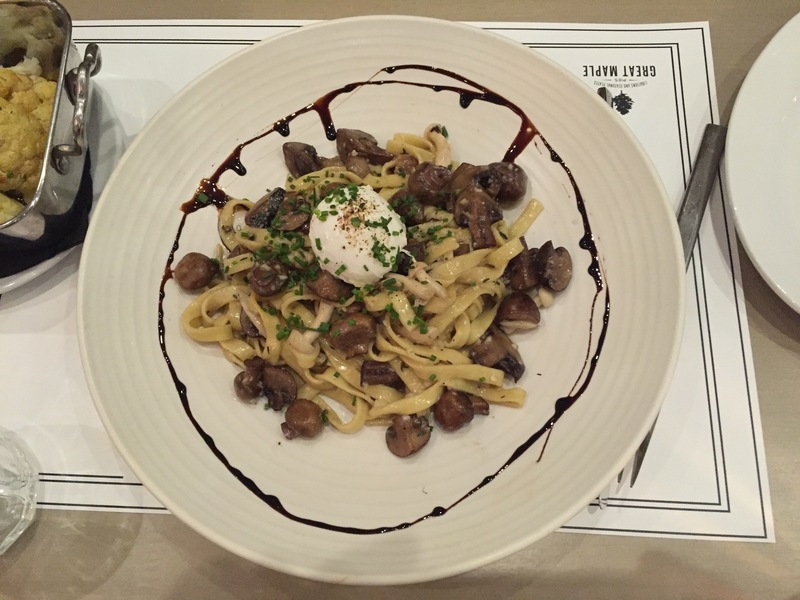 The pasta came with sun dried tomatoes and mushroom, but I did not get too many mushrooms. 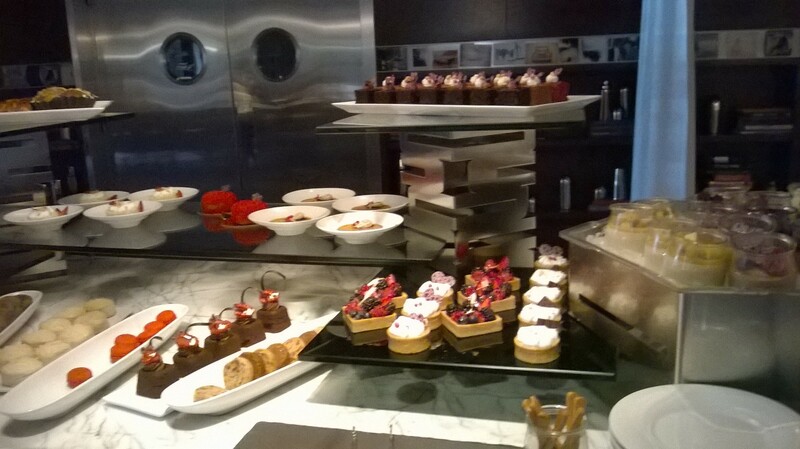 I wanted to try the desserts but was too full to do so. 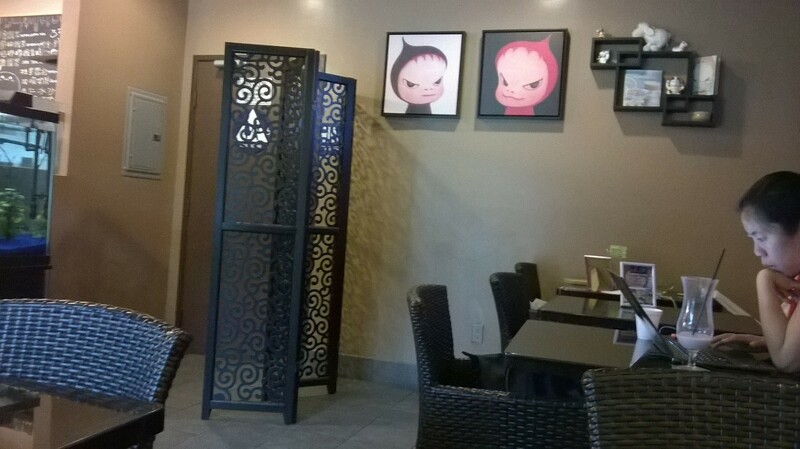 Overall, it was a decent place to try if one is not in the mood for Chinese food in that area. After not having been successful in finding a parking space on the opening day of the new section of the Del Amo Mall back in October, I did not really try to go back. 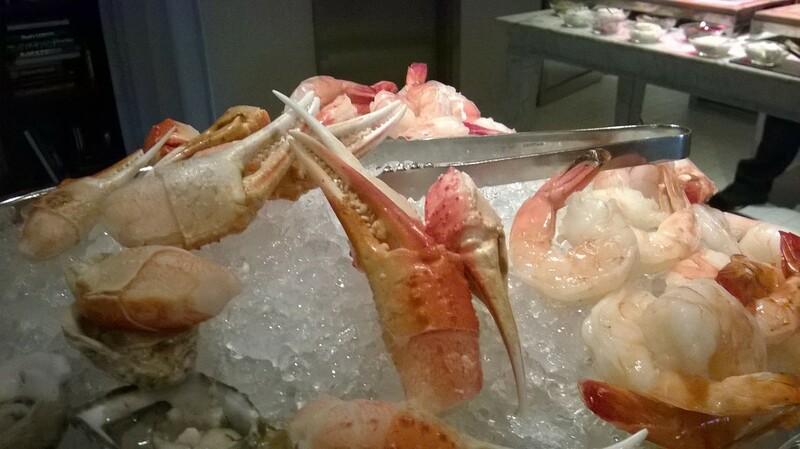 But a friend mentioned to me over lunch that both the restaurant inside Nordstrom as well as the one right next to Nordstrom were really good, and that got me interested in trying them out. I did my usual research online before going, and found the menu to be quite enticing. Made a reservation for a Saturday night dinner and plans to visit some of the shops afterwards. Fortunately parking was not as difficult as I anticipated – got a space right outside the restaurant. I did a little bit of shopping around Nordstrom and other stores, and got quite hungry, so we went a little earlier to the restaurant. 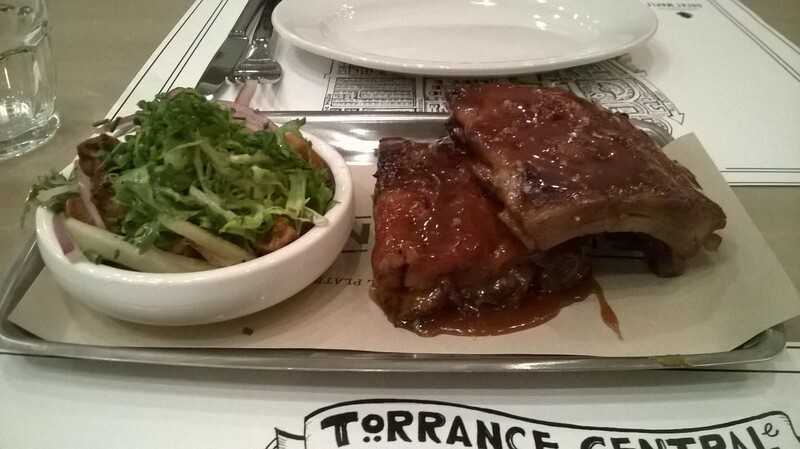 The decor and the ambiance of the place felt more like a restaurant on the west side rather than one in Torrance. The waiters were tall, young and handsome, while one of the hostess looked like she could be an actress or a model working part-time here. We ordered the Salted Caramel Pork Ribs, Baked Curry Cauliflower, Great Maple French Dip, and the Mushroom Pasta. The pork ribs were cooked perfectly and tasted incredible, easily the best. 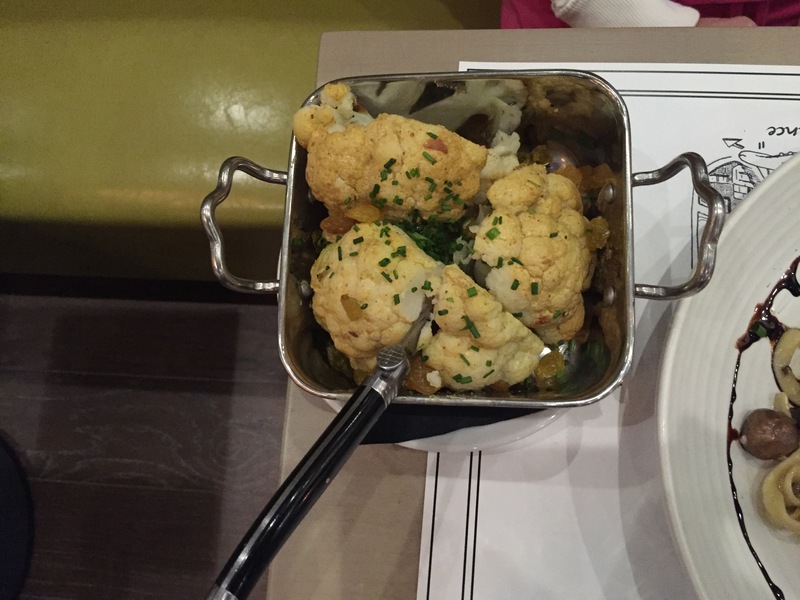 The baked cauliflower was huge and so flavorful. 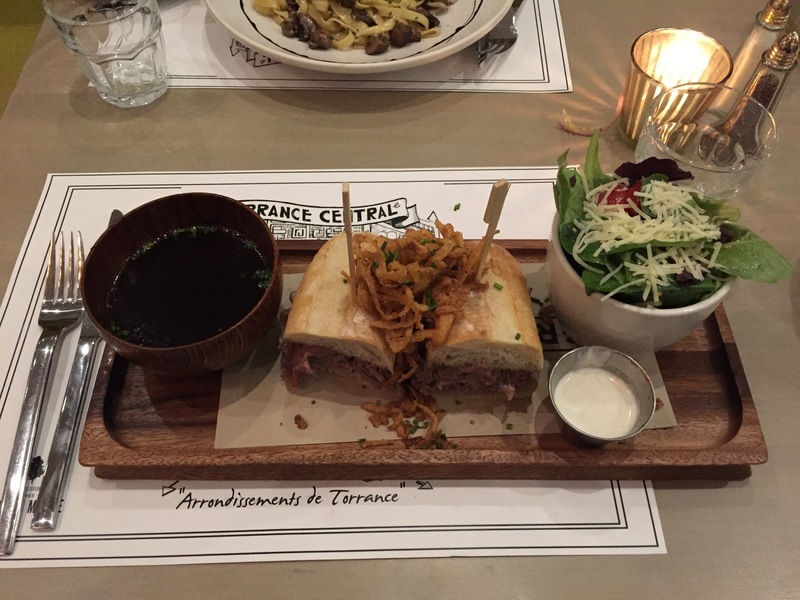 The beef in the french dip was tender and delicious, and my mushroom pasta had plenty of mushroom, rich yet not heavy. I really wanted to try the Maple Bacon Doughnuts, but was rather full. I am sure I will be ordering that next time, and the next time will be very soon. 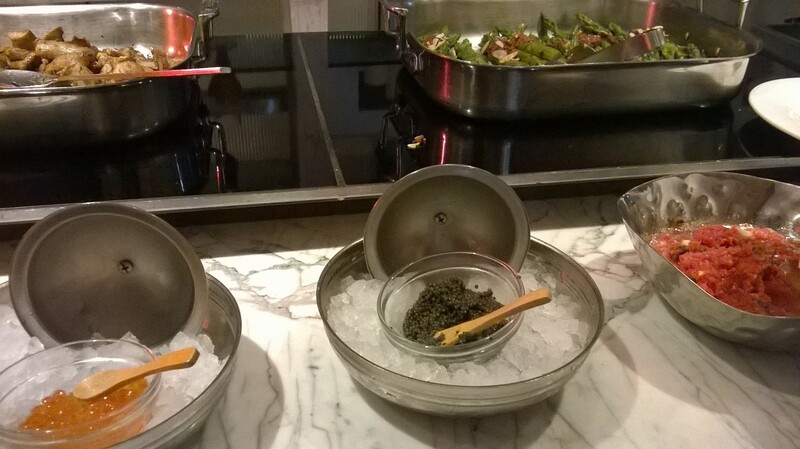 Koi Palace – Dim Sum at its best! I was really looking forward to meeting a great friend of mine of whom I have not seen for so many years. I grew up in the Bay Area, and it is always such a warm feeling to go back there and visit and see old friends. 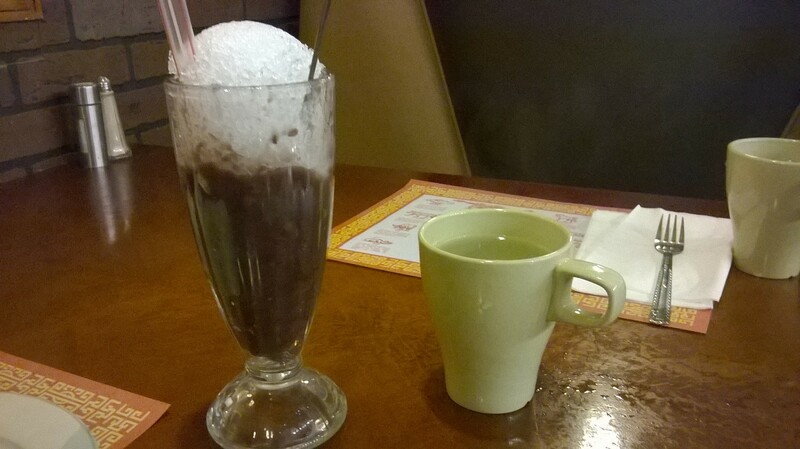 The last time I was at Koi Palace was at least 10 or more years ago. I know it is extremely popular, but I did not realize that it was going to be so busy on a Monday afternoon past 1 pm. We must have waited ait least 50 minutes or more before we were seated, but it was all so worth the wait the moment I sat down with my dear friend. The attention to details in the restaurant is admirable. 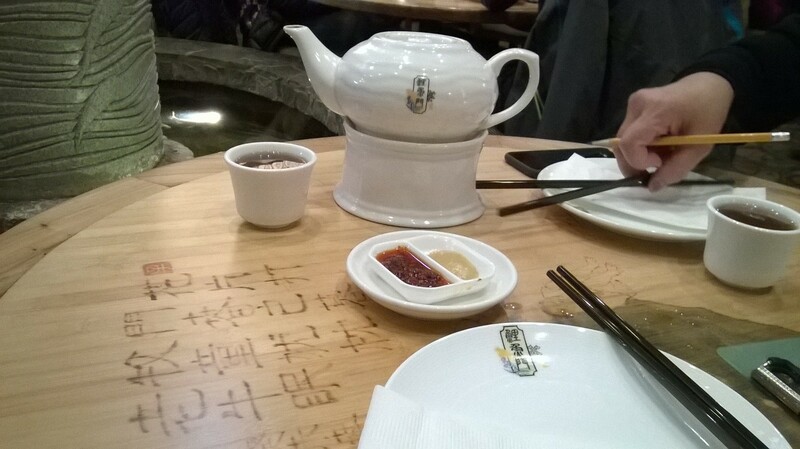 The tables have Chinese drawings and calligraphy laminated on top. The teapot sat atop a porcelain stand. 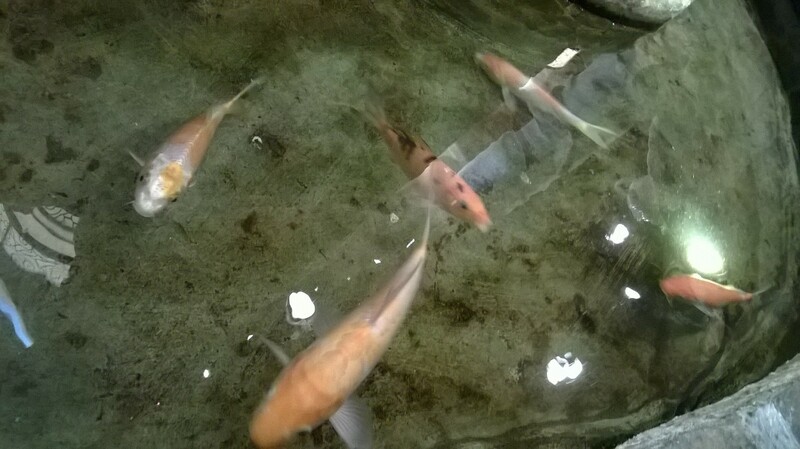 There were koi swimming in a small pond next to our table. The colorful dim sum menu is quite extensive, and I must applaud my friend for picking some of the best dim sum for me to try. 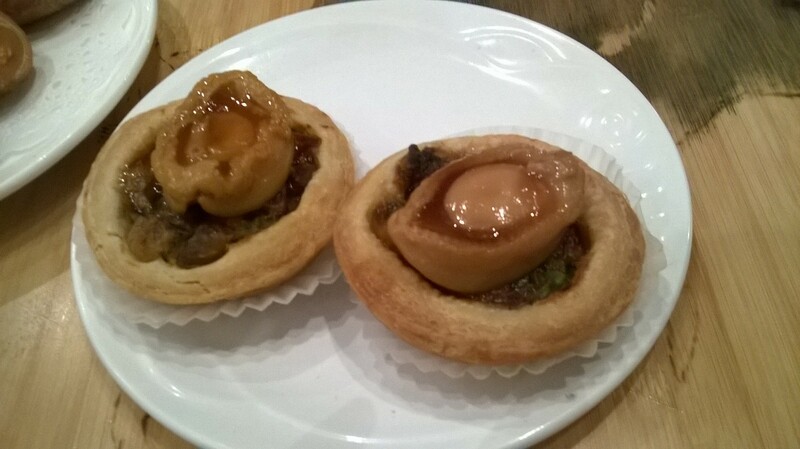 The Whole Abalone Minced Chicken Tart stood out as the most outstanding – there was a whole small abalone that was cooked just right atop a delicious pie crust with chunks of tender chicken inside – easily one of the best dim sum I have ever tried. 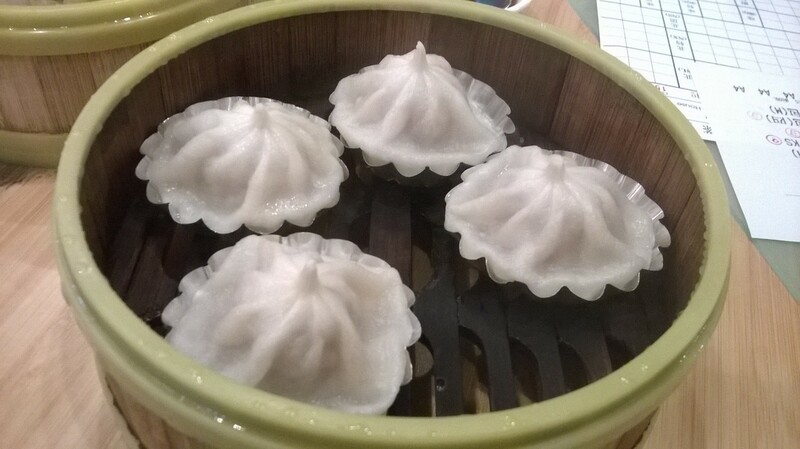 There is no doubt that the Xiao Long Bao here is the juiciest, tastiest, and best texture of all, and the presentation of the dumplings in a flower shaped tin made it so much more appetizing and appealing. 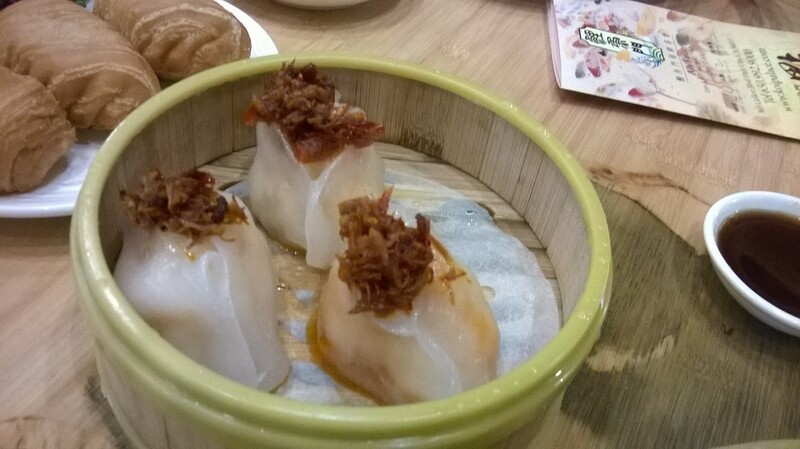 The Shrimp Dumpling Topped with XO Sauce was another excellent selection – the topping must had been dried abalone with XO sauce, which blended well with the perfectly steamed dumpling. The Tofu Skin Roll that I chose came inside a soup that tasted like soy milk, of which I found comforting to eat. 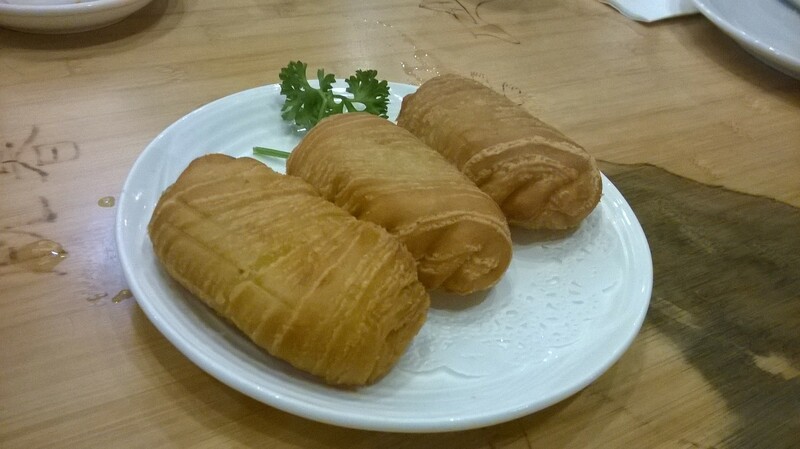 The Durian Roll had the most(quantity) and flavorful durian filling inside a crispy pastry shell. The pork filling inside the BBQ pork buns were lean and delicious, unlike some places where the pork can be fatty and of inferior quality. I had such a marvelous time with my friend and the food that I wish time would stand still for that afternoon. Afterwards, my friend invited me to her newly renovated house to look at the incredible transformation – the tiles and some of the materials used in the bathrooms and kitchen were undeniably some of the most artistically designed. I would love to take a shower there. I was debating whether I should stay one more day in the bay area so that I could go back to Koi’s for another awesome meal. After much serious contemplation, I opted to leave with a good memory, but Koi will definitely be the top of my list next time I am up there. A friend and his daughter decided to try this place called Sage Bistro on Main Street in Alhambra. Once inside, they realized that the owner and chef were once their neighbors from way back when the kids were still small. It was a happy reunion, but what made it even better was the fact that he thought that the food was really great! Though the chef is Chinese, the cooking and the menu is western style with the stellar dishes being the Roasted Duck Breast, and Duck Leg Confit. Since the restaurant is closed on Tuesdays and Wednesdays, it took a while before I was out there on the right day to try the place. I got there rather early so the place was still empty. The lady owner asked if this was my 1st time there, and I said “yes, but my friend who is on his way was your former neighbor.” I told her the name, and she exclaimed “what a small world!”, and started to tell me how the daughters from the two families were good friends when they were younger. I was torn between the Roasted Duck Breast and the Duck Leg Confit, but chose the duck breast since it was highly recommended, while my friend ordered the Pork Chop Casserole. 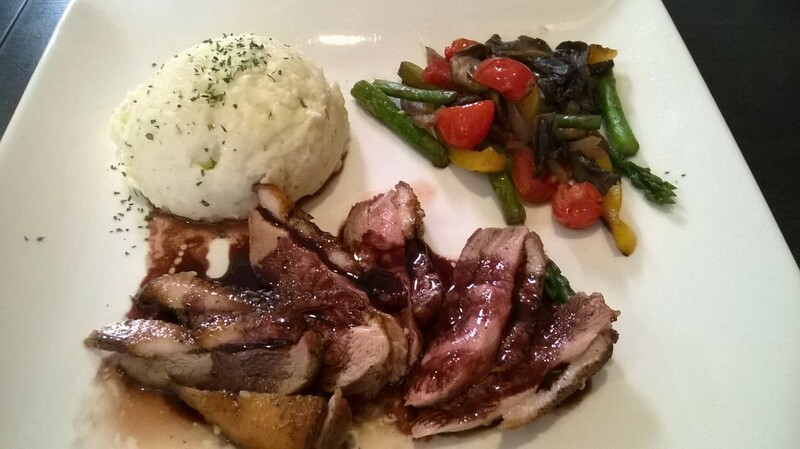 The duck meat was extremely tender and flavorful, indeed as good as my friend had described. 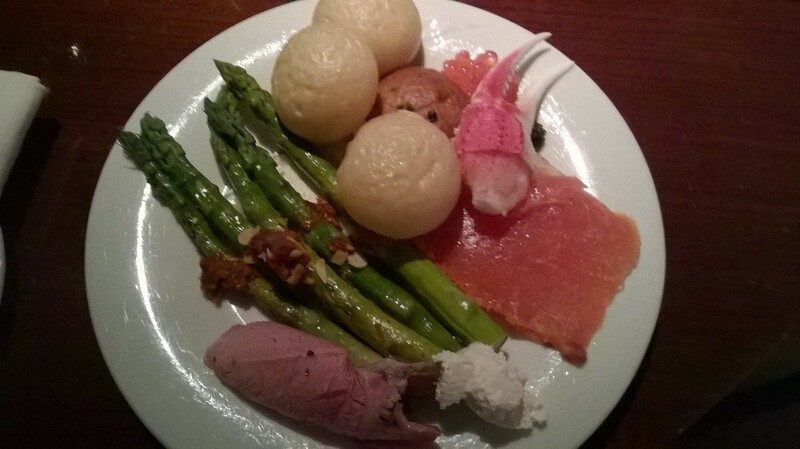 While I did enjoy my plate, I wished that there were more food since I was still hungry afterwards. The Pork Chop Casserole, on the other hand, was definitely substantial and came with 2 huge pieces of chops. 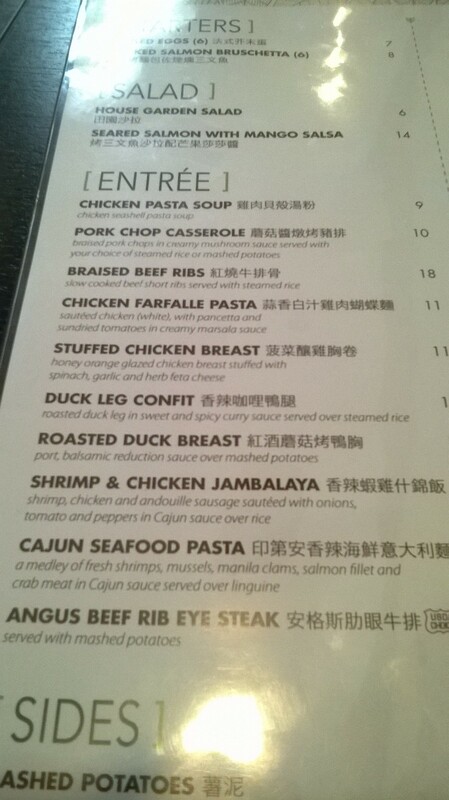 If I were to go back, I would probably order the Duck Leg with another dish such as the Cajun Seafood Pasta in order to get filled. I went to visit a friend who operates a massage therapy business in the same mall as Palsaik, and she suggested that we try this restaurant that has just opened recently. 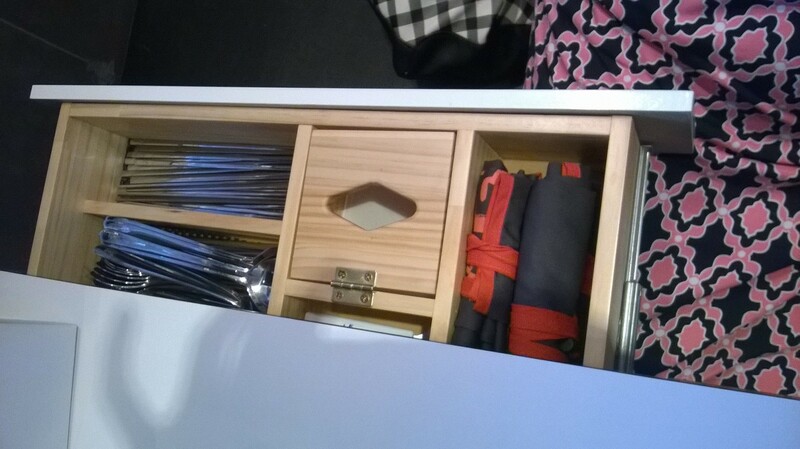 The place is nice and clean, and what I found interesting was that there are these drawers built into the table that holds all the paper napkins, chopsticks, spoons and even aprons! But the only problem with that was the drawer was only on one side of the table so the utensils were not quite accessible to the patrons on the other side of the table. The server was very polite and tried to explain the menu to us. Since there were only the 2 of us, we just chose the smallest set menu. The server brought a big pot with soup inside and a platter with some raw seafood and vegetables. He proceeded to put all the items inside the pot of soup and began the cooking for us. 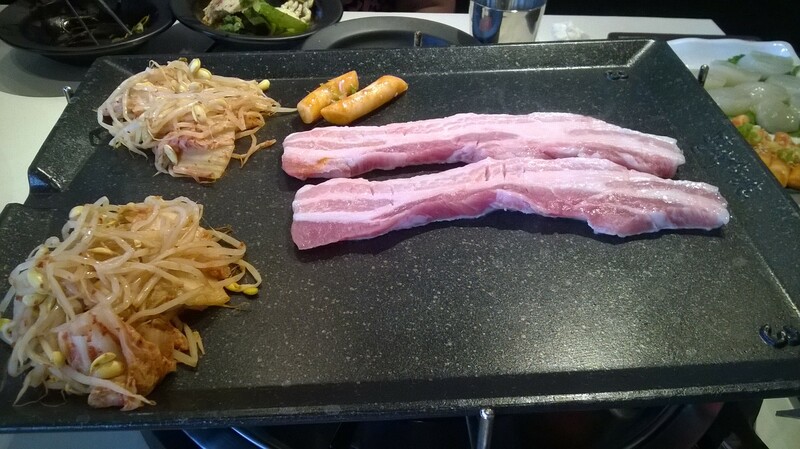 He then brought out 2 strips of raw pork, and some raw scallops and he put them on a grill next to the pot. There were some kimchee already on the side of the grill. The server basically did all the cooking for us. He would come to our table periodically and check on the food. 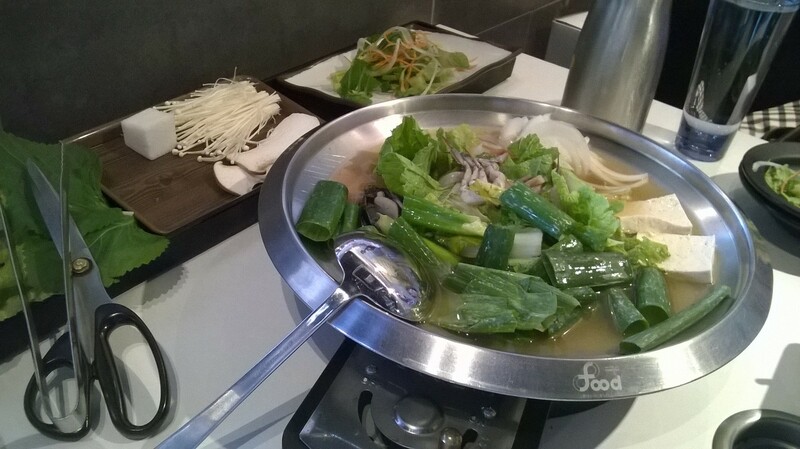 I enjoyed the taste of the hot pot, and all the vegetables. To finish off the meal, the server cooked some rice with the left over broth from the pot. I noticed that the other table ordered the restaurant specialty which is pork in eight different flavors (the raw pork came in 8 different dishes with each one marinated in a different sauce). They looked really good, but seemed a bit too much for 2 people. 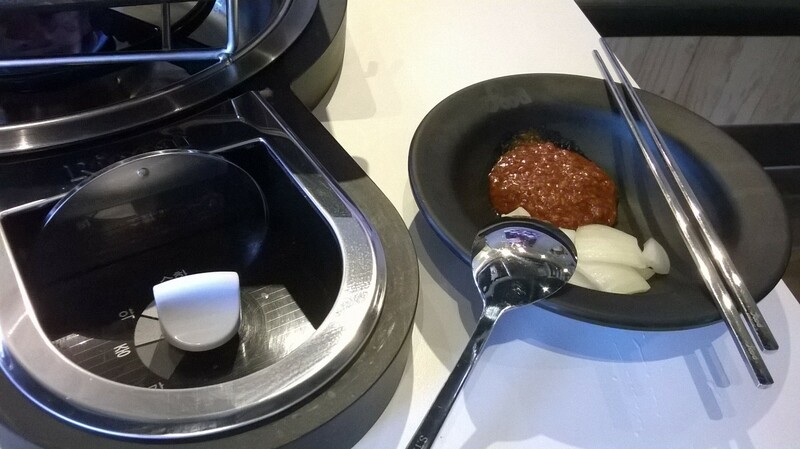 There are no side dishes that came with the meal which is rather unusual for a Korean restaurant. 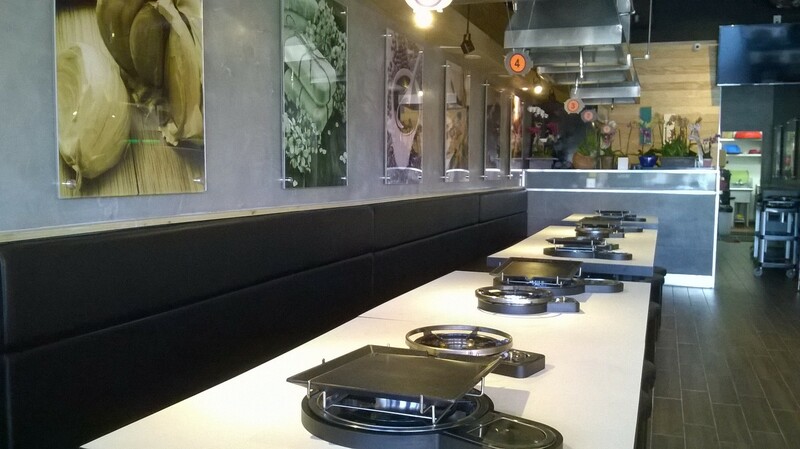 It would have been nice to have some good Banchan. Originally, we were going to have soba after my friend’s early morning fishing trip, which was supposed to end around 12 noon. However, due to some delay with the trip, the boat did not come back to shore until around 3pm. So I had to come up with a place that would still serve food at 3:30pm in our area. Jidaiya came to mind, since I have been wanting to try the Tsukemen (ramen with a separate dipping bowl of soup), which is served only after 2pm. I ordered the Gyoza to start, there were six pieces that came connected in a circular pattern. 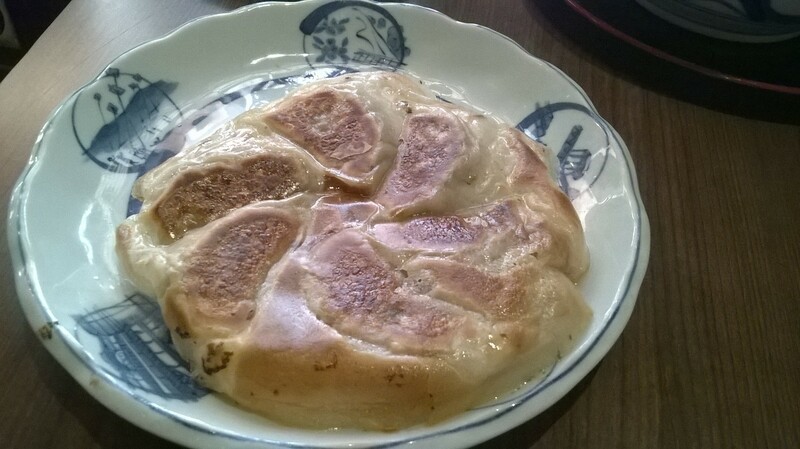 I like the gyoza a lot here since the meat filling was not heavy, and the overall texture and taste were light as well. 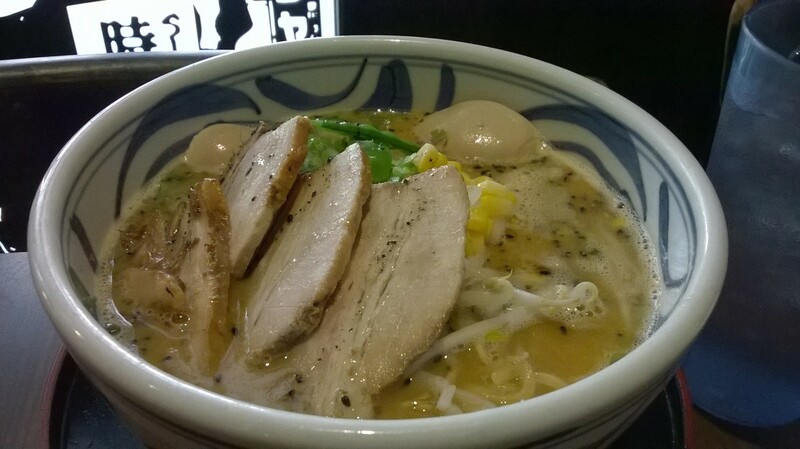 The friend had the Tonkotsu Miso Ramen which came with a good amount of vegetables on top. It was quite a big bowl. 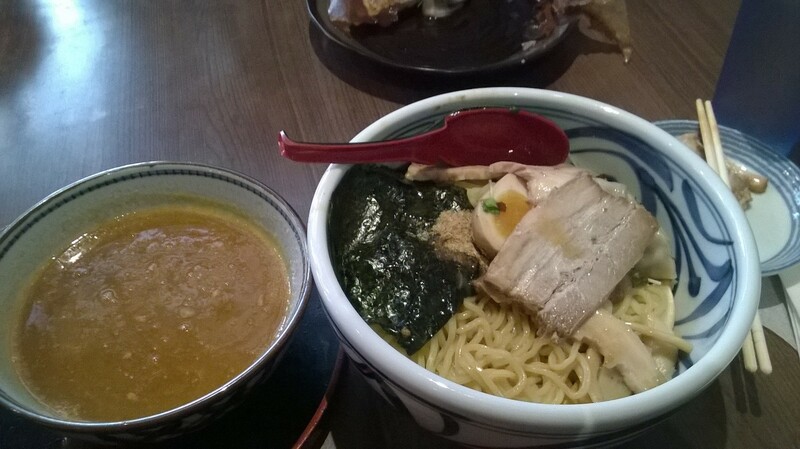 My dipping ramen was served cold with very tender slices of pork on top. The bowl of dipping soup was quite substantial and flavorful. I enjoy the act of dipping the noodles and pork into the soup. I actually liked my Tsukemen much better that the one I had a while back at the famous Tsujita LA Artisan Noodle on Sawtelle. I prefer the soup here since it seemed a bit lighter and tastier. 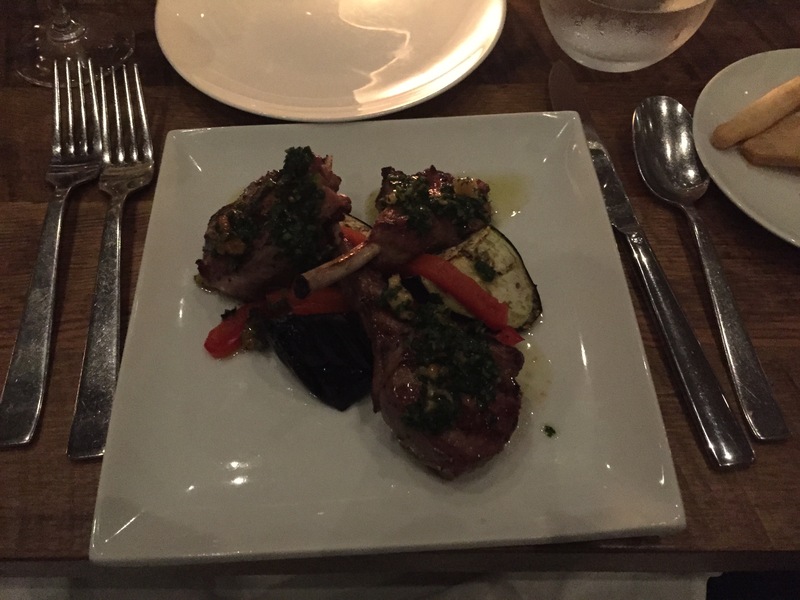 Dinner with live music sounded like a good combination for an evening out. The fact that the restaurant is located in Beverly Hills made it even more appealing. So we purchased yet another Travelzoo coupon to try out the place. 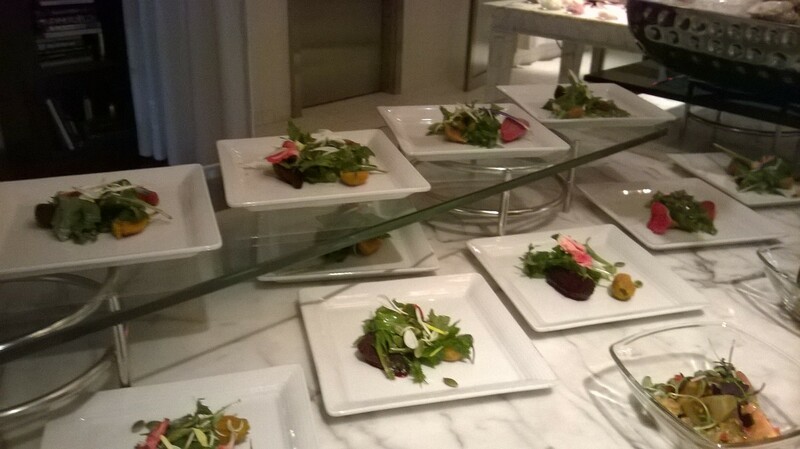 Turned out that the restaurant is right next to Spago, and being that it was a Saturday evening, there were quite a bit of people and fancy sports cars everywhere as expected. 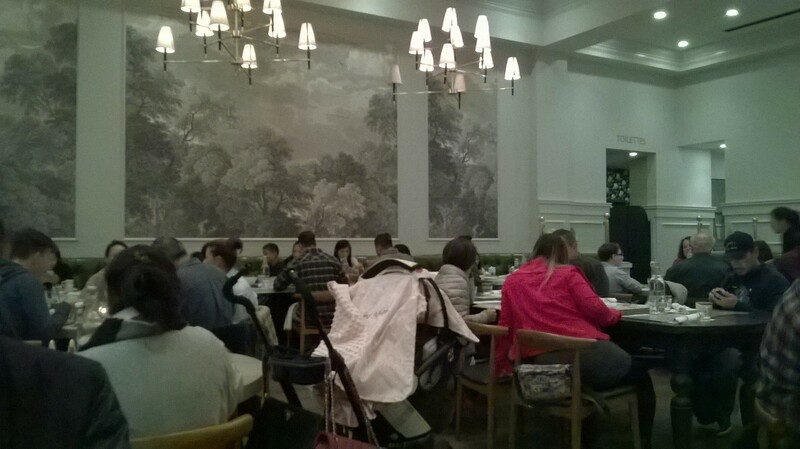 The inside of the restaurant was busy, and the atmosphere was lively and festive. The waiter was a nice gentleman with a very personable persona. We started off with a nice glass of Prosecco, slightly sweet and bubbly. Dinner menu consisted of 2 appetizers and entrees with a dessert to share. 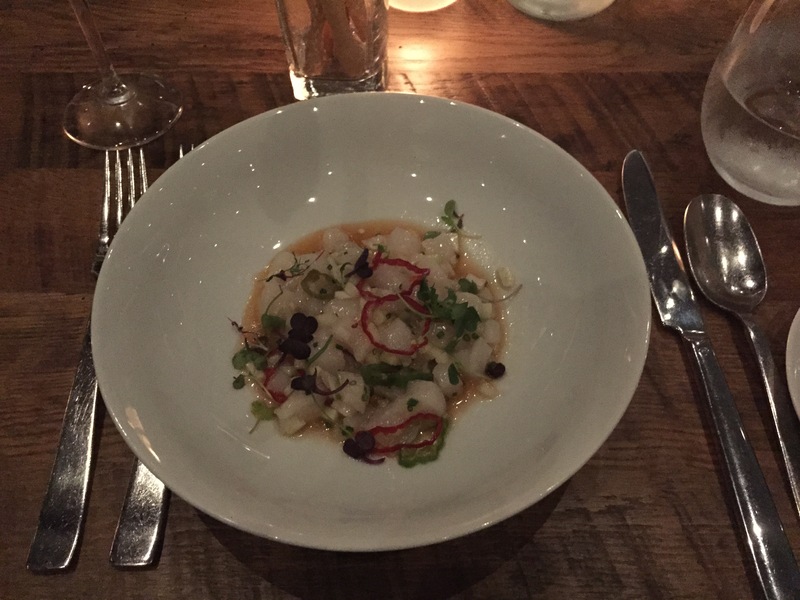 The Scallop Cerviche was really fresh according to my dinner companion, while my Farro wtih various vegetables was hearty and light on flavor which was just perfect for my taste. 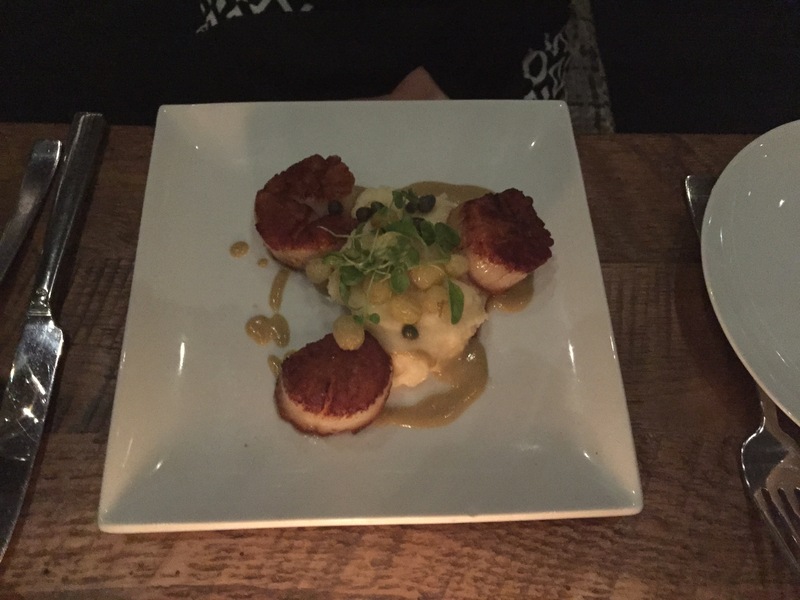 My Maine Scallops arrived really late, almost after my friend was finishing up his Lamb Chops. 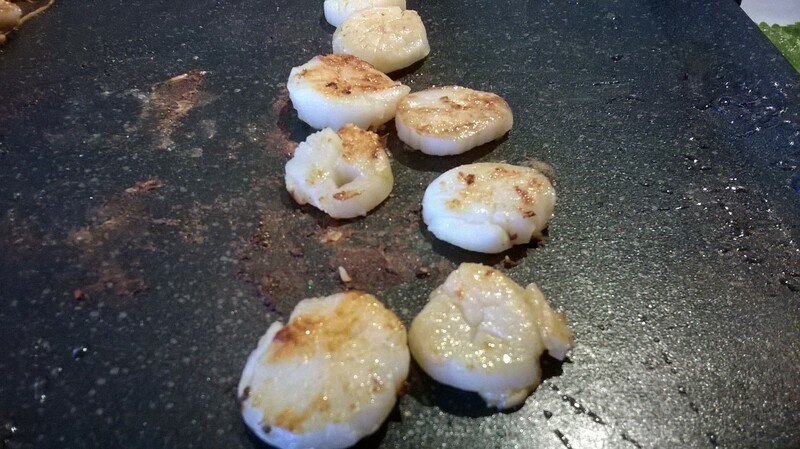 The scallops appeared to have been carelessly overcooked since the top of the scallops were dark brown. I had to cut off the brown part since I do not like my food too burned. However, the mashed potato that came in the middle was perfectly executed and delicious. The waiter highly recommended the Flourless Chocolate Cake with Ice Cream, and it seemed that almost every table was ordering that as well. I found the cake to be extremely sweet with a rather unusual taste, so I only ate a tiny portion of it.